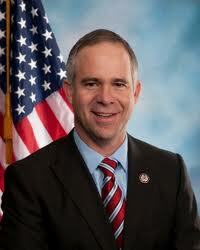 Huelskamp said he plans to introduce the Federal Marriage Amendment later this week, a measure that would define marriage as between one man and one woman. DOMA did the same thing, but was a federal law, not a constitutional amendment. As such, the Federal Marriage Act is more far-reaching but also a tougher climb. It requires the support of two-thirds of the House and Senate, and ratification by three-fourths of the states, or 38 states. "This would trump the Supreme Court," Huelskamp told The Huffington Post. Huelskamp said his bill has no cosponsors yet, but said its language will be almost identical to past Federal Marriage Amendments introduced in Congress. The last time Congress voted on the proposed constitutional amendment was in July 2006, when it failed 236-187. It needed 290 votes to pass. House Speaker John Boehner (R-Ohio), House Majority Leader Eric Cantor (R-Va.) and Rep. Paul Ryan (R-Wis.) were among those who voted for the amendment at the time. You will recall back in March Huelskamp introduced a bill to prohibit gay marriages on military bases and protect anti-gay service members.